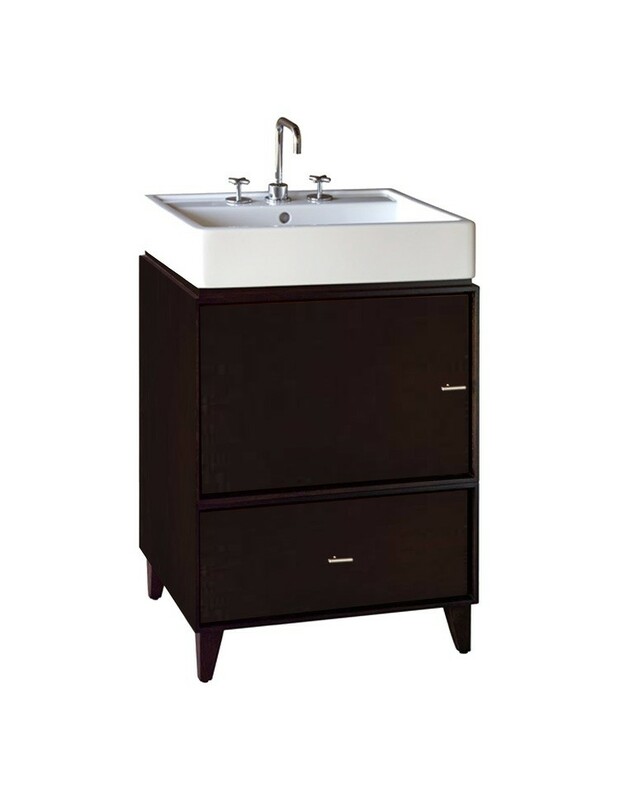 Revitalize your bathroom's beauty with this 24-Inch cabinet from Porcher. This Porcher solutions cabinet is based upon modular geometry and has a contemporary style. It features a seven step finish applied by hand to give it an amazing look. The two catalyzed polyurethane top coats help protect the cabinet from moisture and improve the Porcher Solutions overall durability. The interior part of the cabinet is coated in HPL which seals and protects the cabinet from cleaners and toiletries. The door of the cabinet features cast metal pulls in a brushed finish, soft close robust European hinges designed for longevity and repeated use and adjustable levelers. 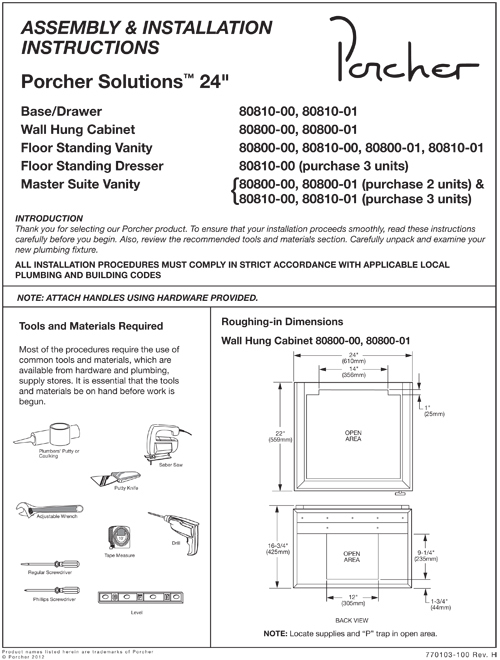 The Porcher Solutions cabinet comes with all mounting hardware and is designed to be used with the Porcher Solutions 24-Inch fine fire clay lavatory. Porcher is an American Standard luxury brand. Check out all of American Standard and Porcher products to see how you can reinvent and improve your bathroom. From the Manufacturer Revitalize your bathroom's beauty with this 24-Inch cabinet from Porcher. This Porcher solutions cabinet is based upon modular geometry and has a contemporary style. It features a seven step finish applied by hand to give it an amazing look. The two catalyzed polyurethane top coats help protect the cabinet from moisture and improve the Porcher Solutions overall durability. The interior part of the cabinet is coated in HPL which seals and protects the cabinet from cleaners and toiletries. The door of the cabinet features cast metal pulls in a brushed finish, soft close robust European hinges designed for longevity and repeated use and adjustable levelers. The Porcher Solutions cabinet comes with all mounting hardware and is designed to be used with the Porcher Solutions 24-Inch fine fire clay lavatory. Porcher is an American Standard luxury brand. Check out all of American Standard and Porcher products to see how you can reinvent and improve your bathroom. 24" X 22" X 34"